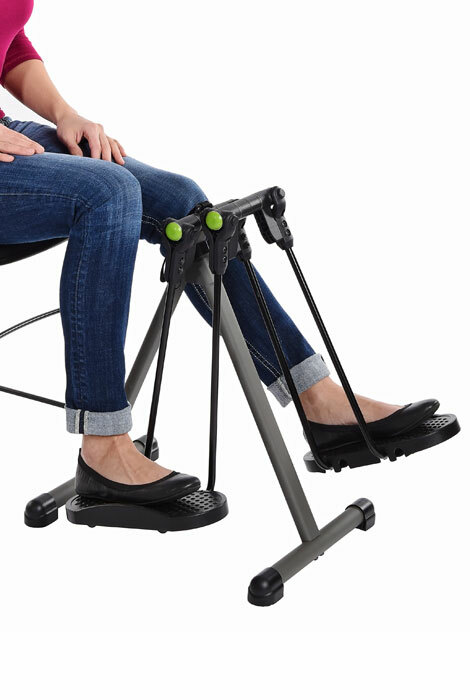 Designed to keep your knees level and your feet moving, the WIRK Orbit Strider's patented 360° hinges let you move your lower body in all directions while seated in your chair. 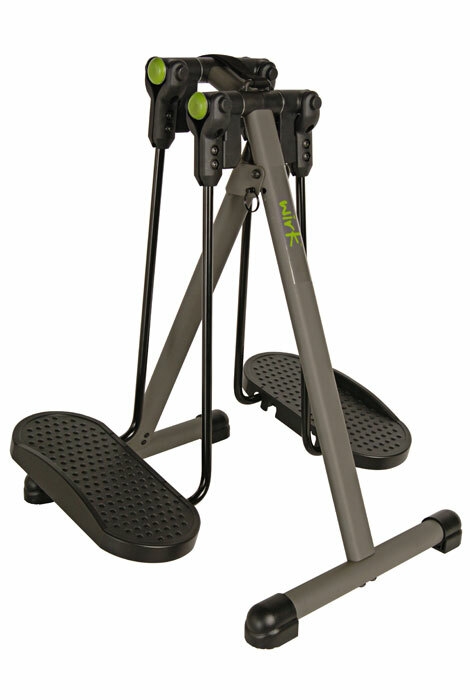 Great for home or office, this fitness strider lets you burn calories, improve circulation and tone your hips, thighs, hamstrings, calves ... and still focus on work, balance your checkbook or catch up on social media. 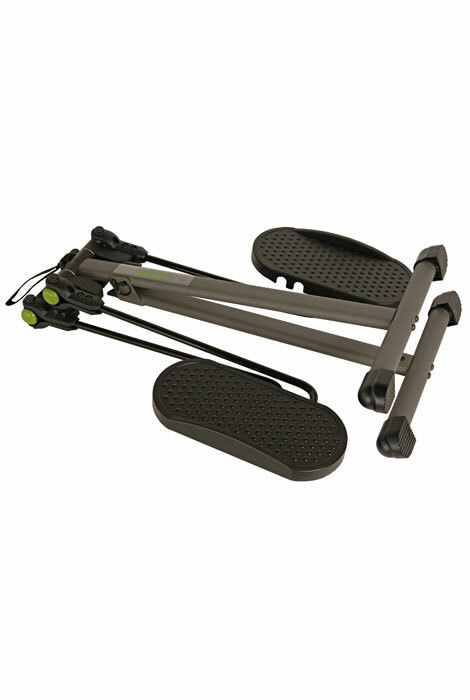 Large, textured footplates help ensure your feet stay securely in place, and the foldable frame and carrying strap make it easy to take your workout anywhere. Metal, plastic. Compact strider measures 18" long x 14 1/4" wide x 24 3/4" high. Weighs 11 lbs. Wipe clean. Some assembly required. No express shipping. Allow 2-3 weeks for delivery.